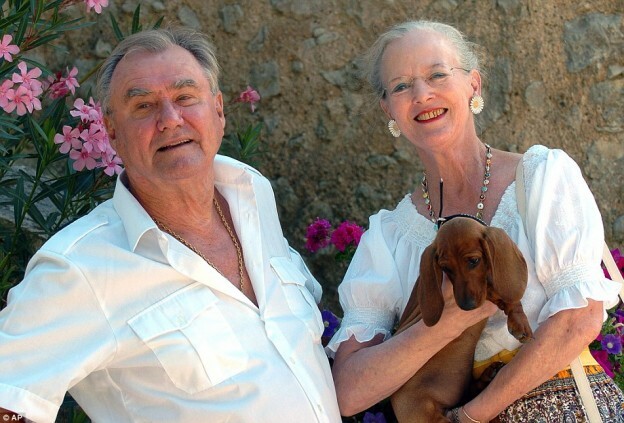 Prince Henrik, the consort of Queen Margrethe of Denmark,was a forceful and engaging figure who did much to modernise and sustain one of Europe’s most popular and successful monarchies. Never far from controversy, however, he sometimes chafed at the restrictions of royal protocol and was outspoken when he felt that he was not properly paid or respected for the many things he did for his adopted country. Like the Duke of Edinburgh, Henrik was not a consort who remained in the shadows. Outspoken, impatient with bureaucracy, he enjoyed a fairly combative relationship with the Danish press, which frequently was less than flattering in reporting his views and his complaints. In recent years, as dementia began to affect him, he became more vocal; he argued that he should be paid a proper salary and once went on strike. He felt that he should be awarded the title of king consort and in 2002 he complained bitterly — after years of being the second-ranked figure in the royal family — when the crown prince was placed above him in order of precedence. He retreated in a sulk to his château in France for three weeks. His last demand, which caused sadness and some resentment in Denmark, was that he should not be buried next to his wife. He had drifted away from the queen, failing to attend her 75th birthday celebrations, and was admitted to hospital several times as his dementia grew worse. His wish will be granted. The prince will be cremated and his ashes scattered in Danish seas as well as buried in the park of Fredensborg Palace, north of Copenhagen, where he died. His life changed in 1965 when he met Princess Margrethe, who was studying in England, at a wedding party. “I fell in love with a bang,” she said, “[but] it wasn’t a huge bang at first sight.” They continued to meet socially and within a year she “ fell head-over-heels in love’’. In 1967 they were married and Henri de Monpezat became Prince Henrik of Denmark. Prince Frederik was born in 1968 and Prince Joachim a year later. In 1972, after her father’s death, Margrethe became queen. This was not an easy time for Henrik. He had left France for an anomalous and undefined role, trading in his French name for a Danish one, his Catholicism for Lutheranism. He had abandoned a diplomatic career for a job that required him, as he once put it, “to be as sensitive as a seismograph but have the hide of a rhinoceros”. As the queen’s consort, Henrik settled down to a supporting role, fighting back against occasional press criticism with patience, a good deal of hard work and occasional asperity. It was later that he became more tetchy about not being properly appreciated, and sometimes left the queen to attend engagements on her own. Like the Duke of Edinburgh, however, he threw himself into supporting industry and promoting Danish exports, championing the environment and youth projects. The Danish Red Cross and the World Wildlife Fund were two favoured charities. He held honorary ranks in the army and air force and was admiral of the fleet — roles for which he was not paid, and about which he occasionally complained. He travelled widely, on official business and in pursuit of his intellectual interests. He was an active sportsman: a shot, skier, yachtsman and pilot. He wrote poetry, composed music, played the piano and with his wife translated a Simone de Beauvoir novel into Danish. Henrik was also passionate about food. He was a good cook, and a connoisseur of wild mushrooms. He particularly liked to garnish his food with herbs and those who invited him to dinner took care to place a bouquet of herbs beside his plate. Every summer he and his wife used to visit the château that he bought close to the family estate near Cahors in southern France, with its views over the river Lot. There they left protocol behind, going shopping, dropping in on neighbours and enjoying the cooking and wine they appreciated. “At Château de Cayx the royal couple left protocol behind, going shopping, dropping in on neighbours and enjoying the cooking and wine they appreciated”. He raised eyebrows when he once admitted that as a young man in Vietnam he had eaten and enjoyed dog meat. It did not sit with his position as president of the Dachshund Club. His own pet dachshunds were also jealously attached to him. One royal guest, invited for dinner with the prince, was bitten on the leg by one of his dogs. Two days later she received from Henrik a splendid bouquet of flowers and a personal apology from the dog, signed with its own paw mark. “He was a very kind man,” another recalled. “He looked you straight in the eye. He listened. He always had a good word and knew how to make people feel at ease.” He remained a Frenchman and a cosmopolitan, however, and, ruefully comparing himself with the Duke of Edinburgh, he could not always conceal the fact that he found the role of consort in a small kingdom a constricting one. Over the years he made a good fist of his duties, but with all his urbane charm he carried with him a certain sense of unfulfilment, a wistfulness for the free Frenchman and thrusting European diplomat he might have been. 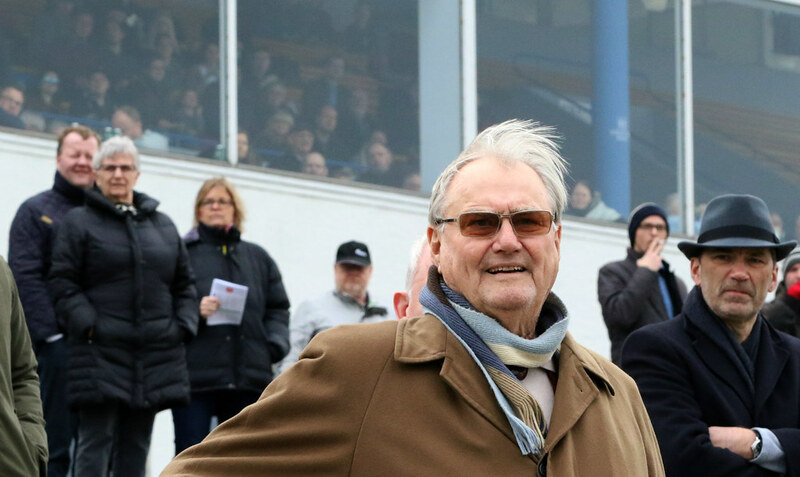 HIS ROYAL HIGHNESS PRINCE HENRIK OF DENMARK was born on 11th June 1934. He died in his sleep at Frederinsborg Castle on 13th February 2018, aged 83, surrounded by his wife and two sons, after suffering from a short spell of dementia. Obituary sourced from The Times.